Melanged Magic: How Cold Is It? The cold weather has been all the news for the last few days in France. 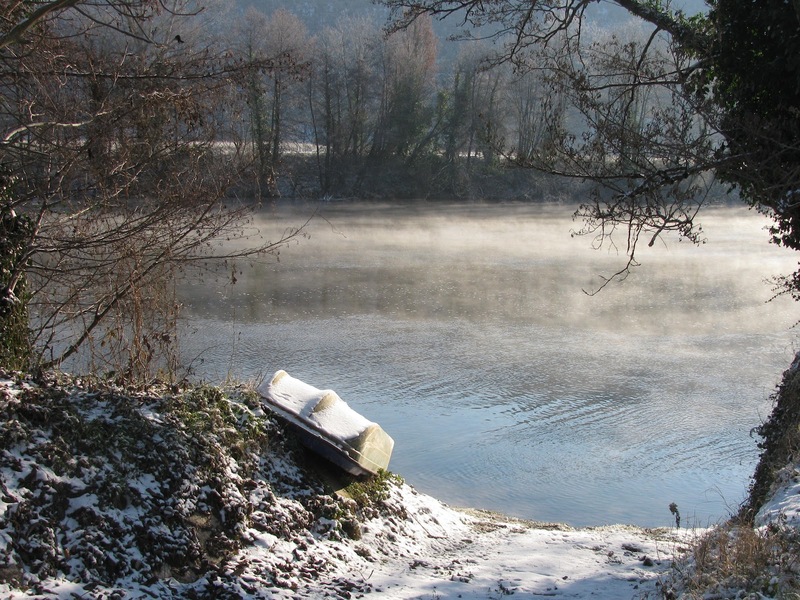 Four people have perished in the cold, two of those homeless men. In a country of really old buildings and with so much built with stone, the cold is very intense even for those who have homes. Then yesterday, it snowed. Here in Cadrieu it measures under an inch, but that's enough to slow everything and everyone down. 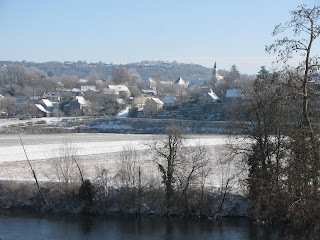 And in Cahors where the snowfall measured 6 inches, it was enough to strand Laury when she arrived by train yesterday from Paris. I wasn't driving in it, and the buses weren't running...and still aren't today. Temperatures are predicted to fall even more tonight with lows predicted to be -10 Centigrade ( 14 degrees Fahrenheit). I know...that certainly isn't Midwest-cold, but it's colder than people are prepared for here. 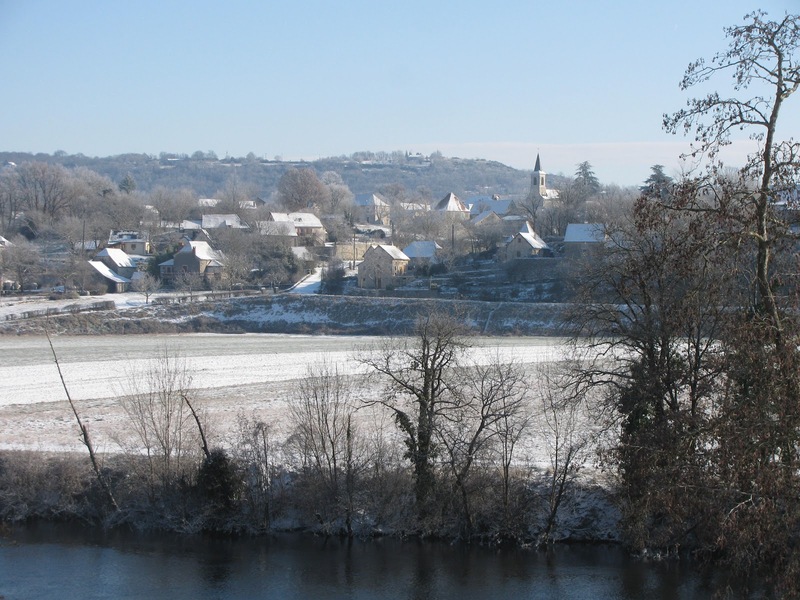 And I know you're wondering why less than an inch of snow kept me from driving into Cahors to pick up Laury. Let me just say...you need to experience the river road from here to there before you scoff and call me a chicken. It's beyond narrow and winding, difficult even in perfect weather conditions. Laury stayed the night with a friend, and I stayed safe and warm here at home!